Made from 18 gauge stainless steel. 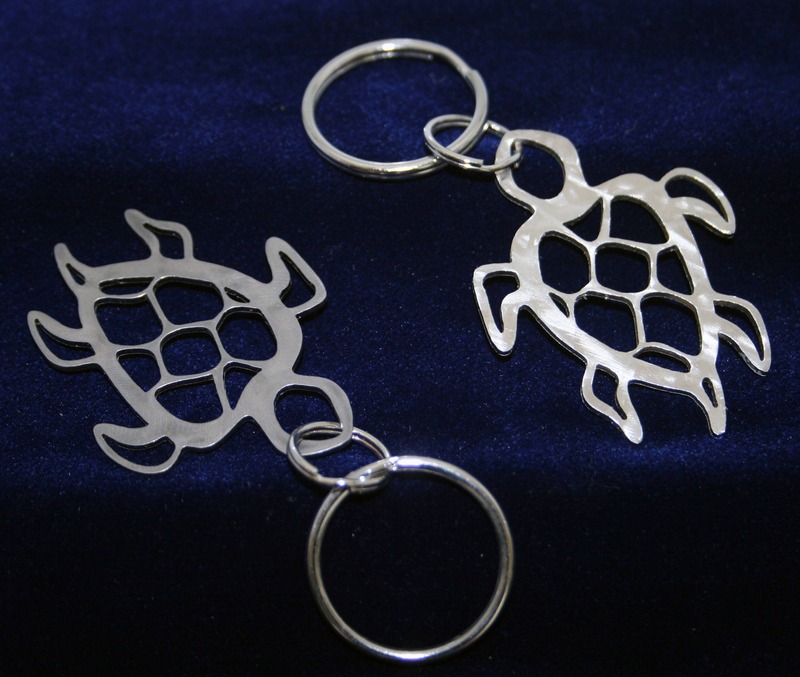 Sea Turtle Charm designed to resemble a South Pacific Petroglyph, comes standard with a tumbled matte finish and comes with a 6 mm split ring and a 3/4" split ring, both nickle plated, for mounting or hanging and measures approximately 1-3/8" wide by 1-3/4" tall (not including the split rings). It can also come with a brushed shiny finish as a variation. 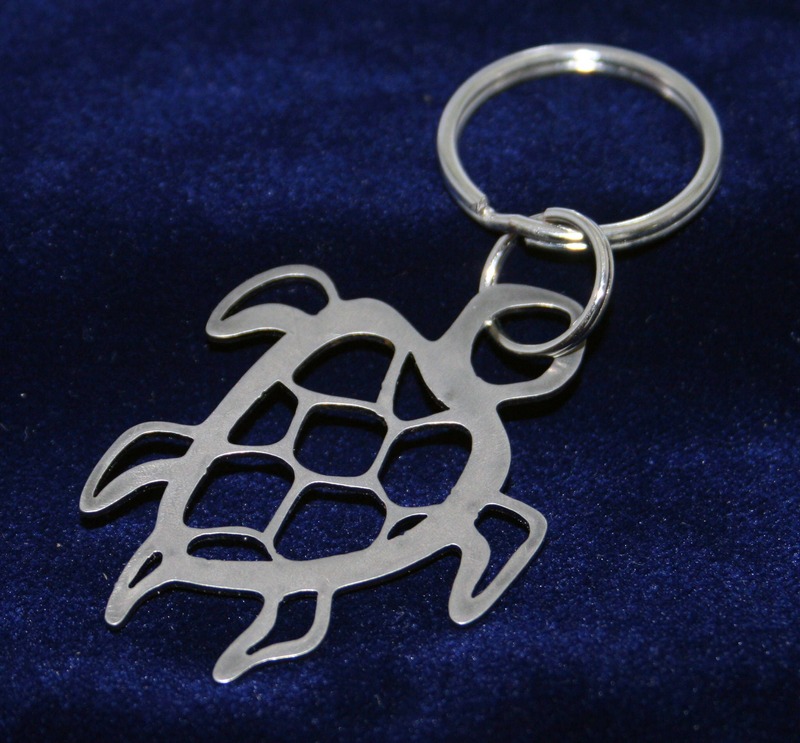 ***"I bought this turtle keychain as a "manly" gift for my boyfriend. We both love turtles for their vast symbolism throughout so many cultures. The gift was hit, and so was I for picking it out. The seller kept me infromed throughout the transaction. Highly recommend and would buy from him again." ***"Adorable key chain. Really fast shipping!" 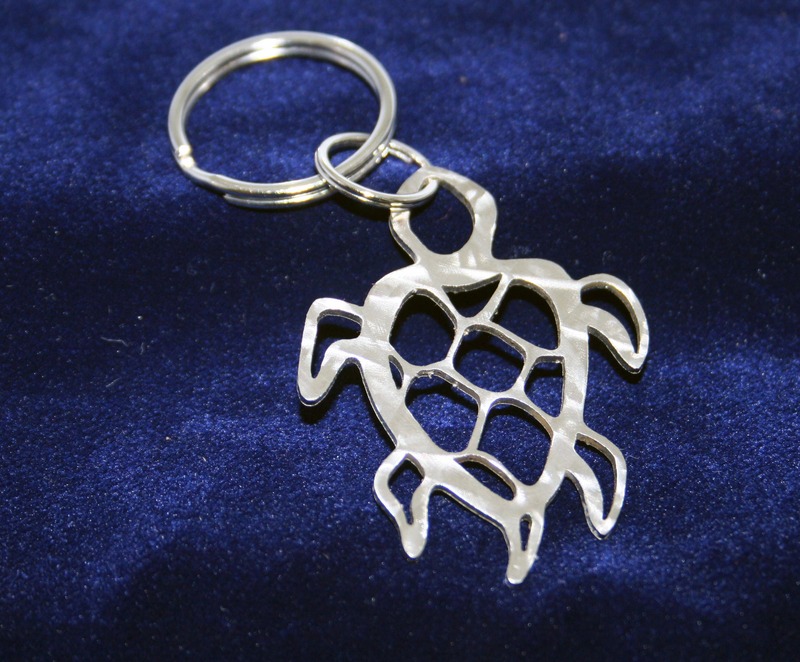 I bought this turtle keychain as a "manly" gift for my boyfriend. We both love turtles for their vast symbolism throughout so many cultures. The gift was hit, and so was I for picking it out. The seller kept me infromed throughout the transaction. Highly recommend and would buy from him again. Adorable key chain. Really fast shipping!